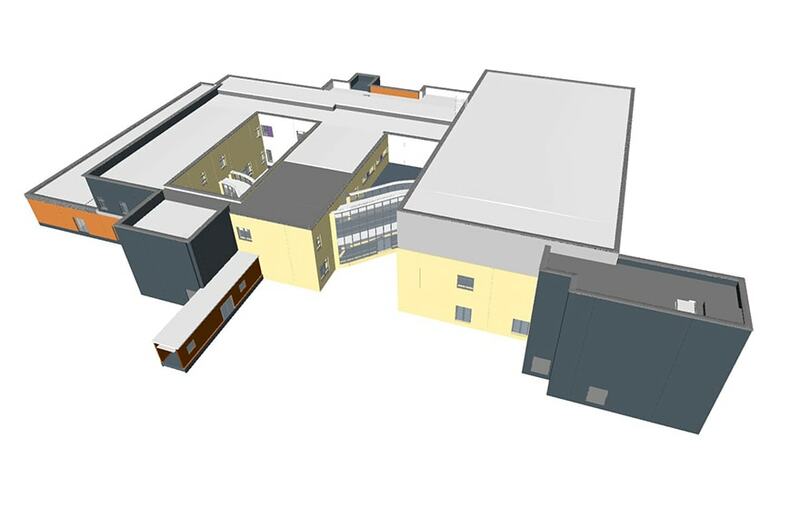 A government-backed project to embed BIM into the £18m Phase 1 redevelopment of Wigan’s Wrightington Hospital involved the creation of a fully federated 3D model, accessible by the entire supply chain on a web browser, integrated with COBie asset management data for use by the client. The project, due for completion in November 2015, involves the construction of two state-of-the-art modular theatres, two 56-bed wards, an admissions and recovery unit and a four-bay operating theatre complex. The health project is a BIM “early adopter” project, supported by the BIM Task Group and included in the Cabinet Office’s four-year programme to reduce capital cost and carbon emissions from public building projects. A major aim is to build on Constructing Excellence's Avanti process of collaborative working, sharing and reusing BIM models, which now forms the basis of the Common Data Environment in BS 1192:2007 and PAS 1192-2:20013. All project information, including 3D models, drawings and associated documents, is being coordinated via a corporate extranet system using the 4Projects software platform. Separate 3D BIM models, created in either AutoDesk Revit or Tekla BIMsight by the architect Nightingale Associates, structural engineer Alan Johnston Partnership, MEP subcontractor NG Bailey, and the steelwork fabricator and curtain walling supplier, are converted into the “open BIM” IFC data format and uploaded to the extranet, which automatically processes them in a models served. The IFC server was created using a specially-developed 4Projects plug-in called 4BIM, developed by Northumbria University to allow developers to read, create and view BIM models in IFC format. 4BIM provides a common data environment for the whole project team compliant with the standards BS1192 and PAS1192. Federated IFC models were also uploaded into the Solibri model checker tool, used for clash and deficiency detection, which revealed “thousands” of coordination issues related to the fact that much of the hospital is heavily serviced with minimal space to fit the MEP services. The design had also been value engineered – resulting in slightly smaller room sizes – making it particularly difficult to get a view of exactly what was going on. “Using traditional design techniques, NG Bailey would have been in danger of discovering services clashes too late, and having to resolve the routing and fabrication of services as they went along,” added Stephens. 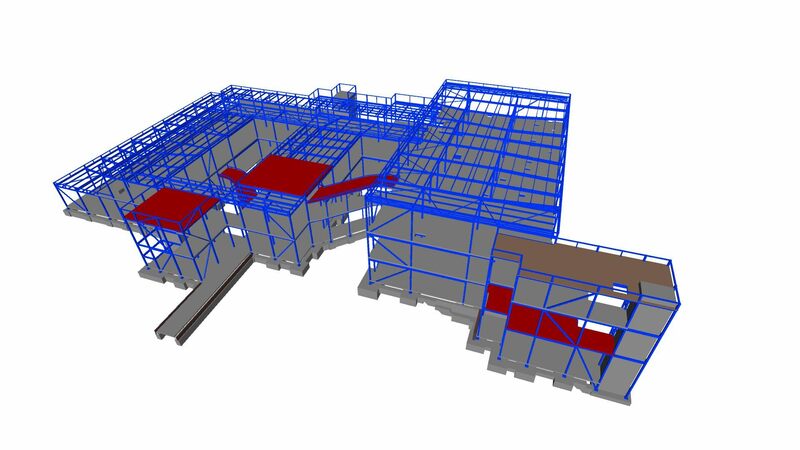 A key use of BIM is to capture COBie asset management information provided by the designers, and the supply chain team for reuse post-completion, most importantly to assist the Trust in its operation and maintenance of the hospital. Stephens describes the project as “well on the way towards compliance with Level 2 BIM” as per government requirements, up to and including PAS1192:4, which defines COBie spreadsheet requirements. However, the fact the client has yet to adopt a digital FM system prevented full compliance. The Trust’s traditional approach made it a challenge to initially capture the Employer Information Requirements (EIRs), which was further complicated by the lack of associated guidance available at the time. “The Trust just wrote a few paragraphs and we had to work with them to formally define what asset data they required for input into COBIe spreadsheets, covering MEP systems such as air handling, heating, ventilation, water systems, and key electrical systems,” said Stephens. He added: “Currently, Tier 1 contractors have to do a lot of hand holding, but in future templates for EIR documents will get easier to use with better guidance.” The ProCure 21+ BIM group is currently updating EIR guidance specifically for NHS Trust clients. The recorded COBie data is viewable directly via the 4BIM web browser, enabling the designers to identify if key elements of equipment, or systems have been classified correctly. The next stage will be to get suppliers to add data as they commission assets, said Stephens. In line with this, the IHP joint venture recently began a £750,000 research & development project, funded by Innovate UK (formerly the Technology Strategy Board), to examine how lower levels of the supply chain can and capture data as systems are being commissioned and add the information into 3D models without requiring a copy of expensive BIM authoring software such as Revit.